It is blueberry season in Florida, but we just visited Ashley and family in the Midwest where the snow is melting off. It reminds me of the first green wheat sprouting up from the black, rich Iowa soil, sometimes even peeking out from a snow covered field. I can still remember my Dad explaining the difference of these first green sprigs of wheat and the wheat that would ripen late in the year. This wheat planted in the fall and allowed to sit in the soil over the winter is a hard, red wheat which is wonderful for bread baking. It creates a beautiful loaf of bread. Crusty outside with a tender crumb. For that beautiful loaf, a gentle kneading action may create the perfect gluten formation but a great texture only happens with a flour made from wheat with the optimum protein content. Gluten is a protein and the harder the wheat the higher the protein content. King Arthur makes a bread flour with a higher protein content but I was surprised to learn that some of the best bakeries in the country use all purpose King Arthur flour. It gives a rustic looking peasant loaf. 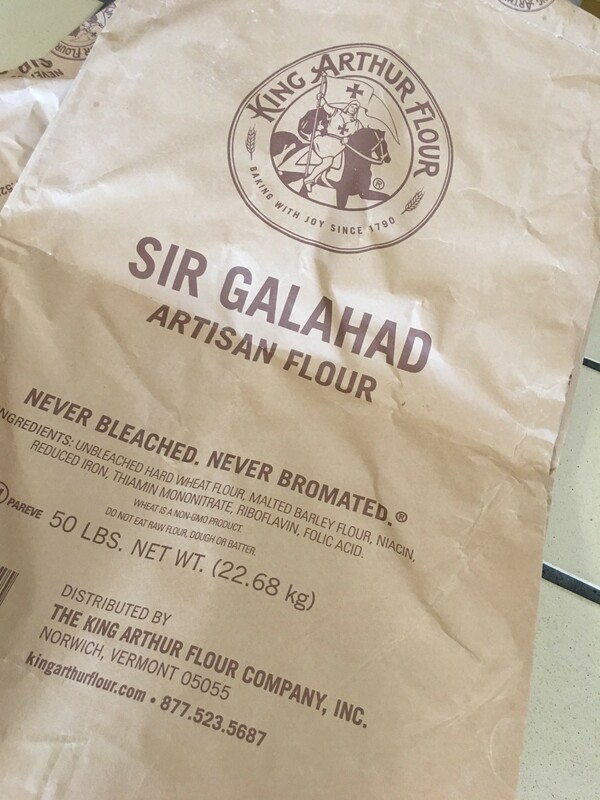 Premier bakeries use this commercial flour labeled Sir Galahad which is the same as King Arthur flour, sold and labeled as unbleached, all purpose flour in most grocery stores. A few years ago it would have been hard to find specialty flour but now there is a wide variety found in many larger grocery stores. The flour choice determines how much strength the gluten has and how much kneading is optimum. Cast Iron is a great substitute for a wood fired clay bread oven. 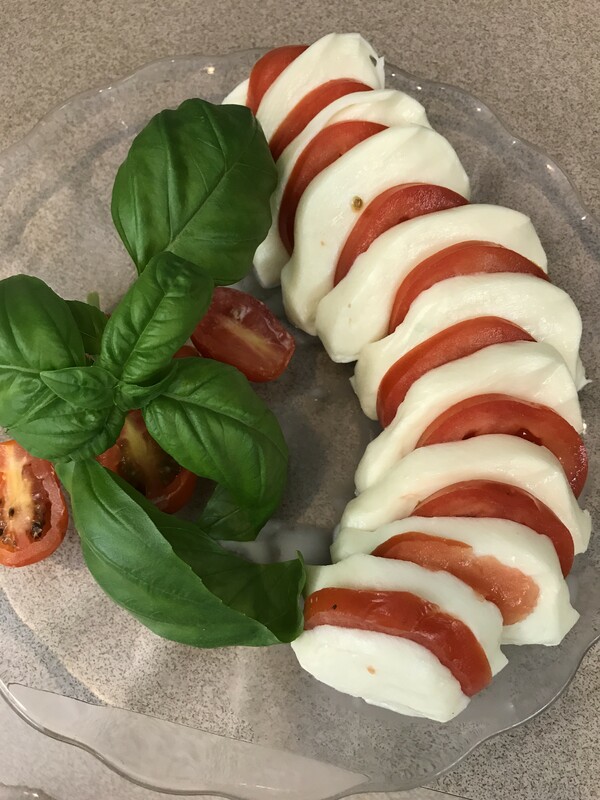 The following recipe suggests kneading 5 to 10 minutes or until smooth and elastic. 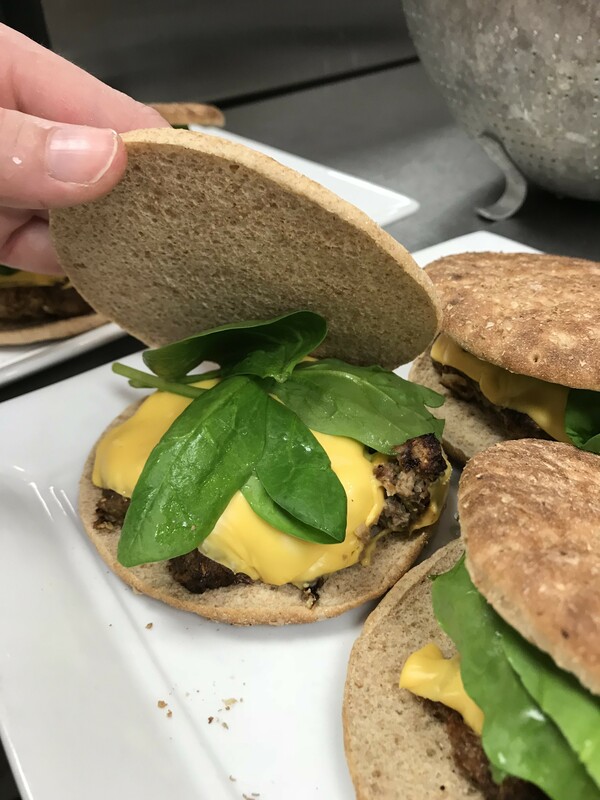 This takes a little experience but most breads will turn out well even if it is kneaded a little too long or a few minutes shy of the optimum. 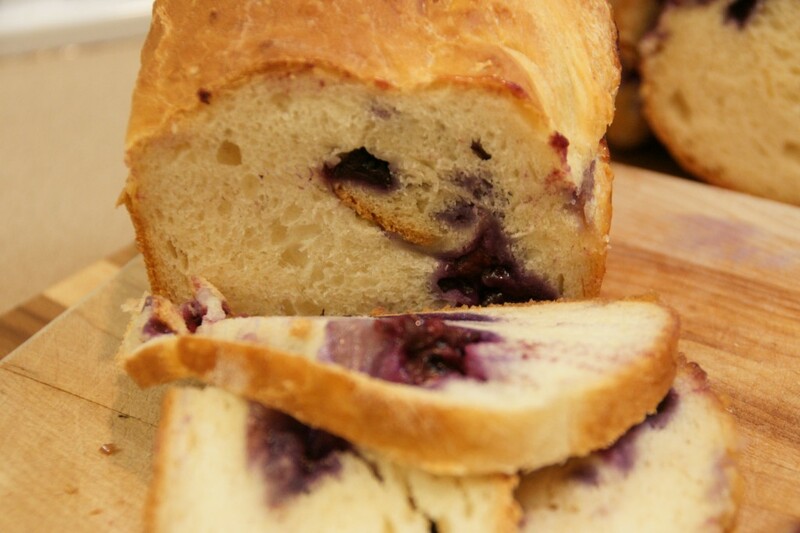 Blueberries tucked into the center of the loaf are so delectable in the bread that it is impossible to complain about anything like kneading or texture. 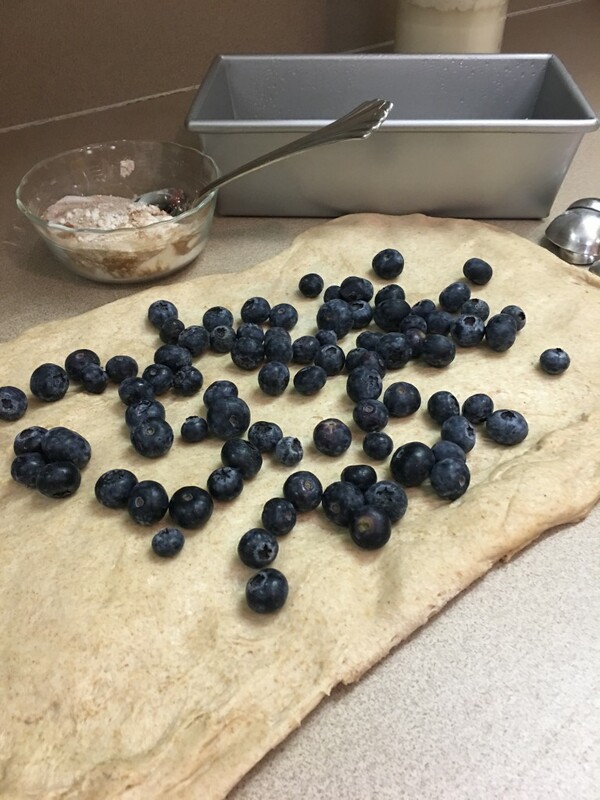 In the photo below, whole wheat is used in the dough. Just substitute 1 cup of whole wheat flour for 1 cup of all-purpose flour. 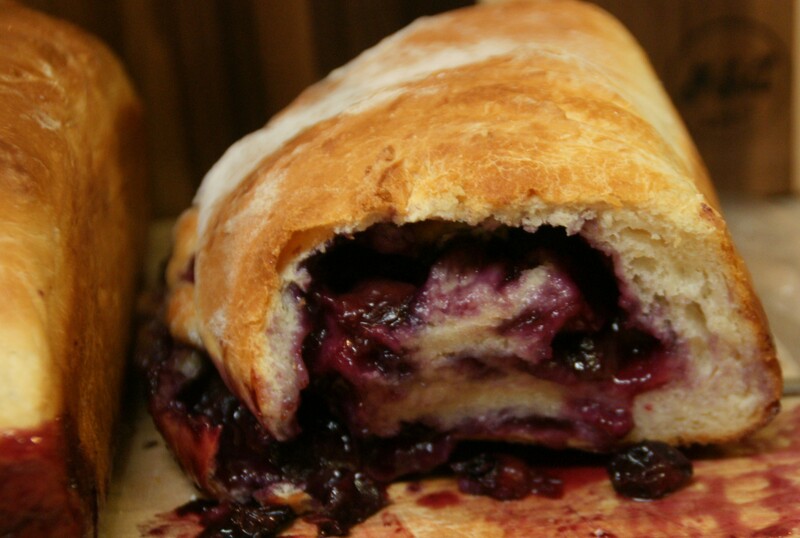 I use fresh blueberries and roll them up in the center of the dough but a bakery in Elk River, MN that makes this kind of bread also uses rhubarb or apples and calls it Apple Fritter Bread. I tasted a similar bread from a bakery in Pella, Iowa where the apples are mixed in with the dough before the last rising. It is called simply “Apple Bread”. Even though that was 40 years ago it has remained one of my favorites. 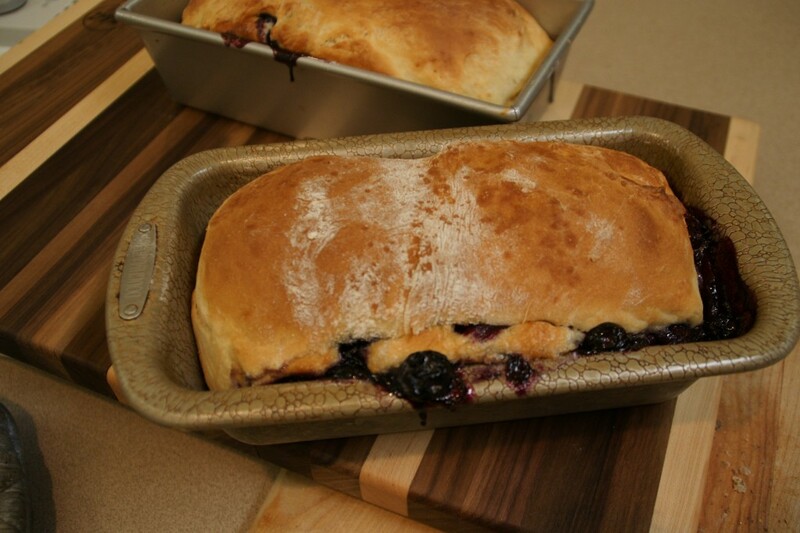 Bake the bread in a loaf pan, clay or cast iron. Each creates just a slightly different crust but each loaf is a delicious. 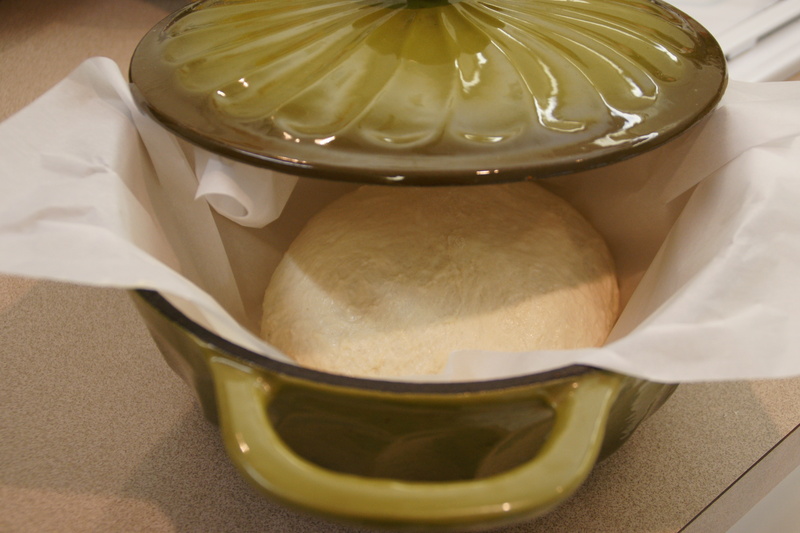 I use the lids to keep the dough from drying out while it rises but bake the bread uncovered. My favorite bread pans is stoneware with a lid. 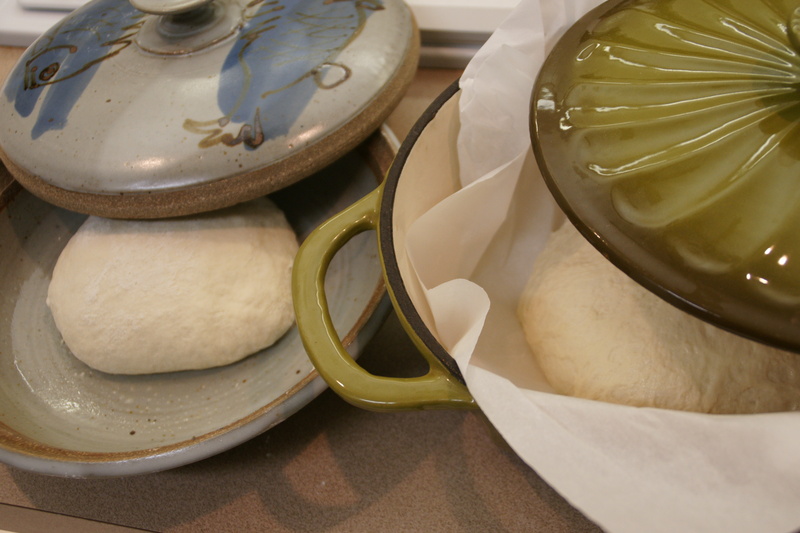 Stoneware functions as a bread baker with similar results as an oven with a stone. A loaf-shaped pan is nice for producing a slicing bread. When Andria was living in Italy, I noticed that European breads are often round, bole’ or baguette shaped. In the US, the traditional shape comes form a loaf pan. The Fritter bread I buy at a local bakery is loaf shaped as pictured below. In a large bowl, combine water, dry milk powder, yeast, salt, sugar, butter, egg, and flour until a shaggy dough. Knead until smooth (about 5 to 10 minutes). Let rise until double in bulk, about 1 to 1 ½ hours. Roll into an 6 x 10-inch rectangle. For filling, spread butter, blueberries, sugar and cinnamon over dough and roll up with filling in the center. Place in loaf pan that has been sprayed with cooking spray. Let rise until almost double, about 1 hour. Bake at 350 degrees for 40 minutes or until no longer doughy. Let stand 10 minutes and turn out of pan. Cool, slice and serve while slightly warm.